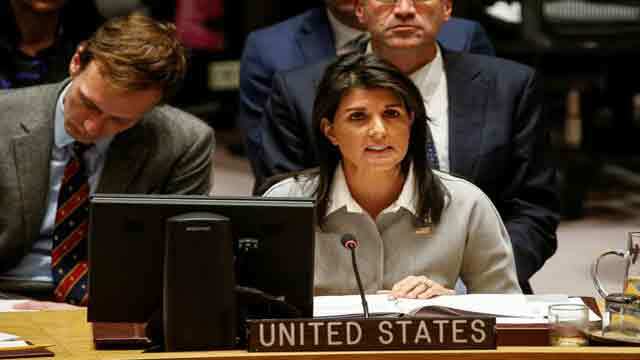 New York, Dec 23 (Just News): Ambassador Nikki Haley, U.S. Permanent Representative to the United Nations, delivered remarks following the unanimous adoption of UN Security Council Resolution 2397 imposing strong new sanctions on North Korea. The U.S.-drafted resolution imposes groundbreaking new measures on energy, export and import sectors, overseas North Korean laborers, and includes new maritime authorities to help shut down North Korea’s illicit smuggling activities.